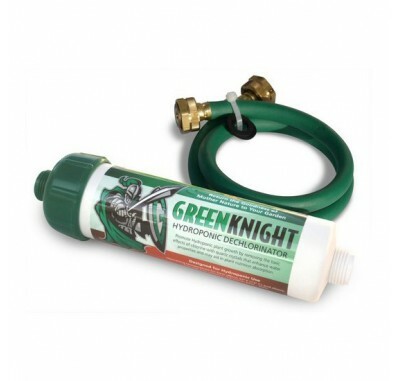 The GK-1 Green Knight is a non-cartridge garden filter that reduces chloramine compounds. The Green Knight reduces water flow to 2 GPM to maximize water contact time with filtration media. The Rainshow'r GK-1 balances pH levels to improve plant growth. To improve the effectiveness of the Green Knight, use the Rainshow'r Prefilter PFGG (sold separately).